Acquires practising, with our experienced Mountain instructors, the necessary techniques to tackle mountains in summer safely and independently. The mountains near Madrid are the perfect spots, very close to the capital city. Recommended for those who want to start designing and making their own mountain routes, from half-day hikes to long trekking routes, identifying possible risks in order to enjoy the mountain safely and independently. 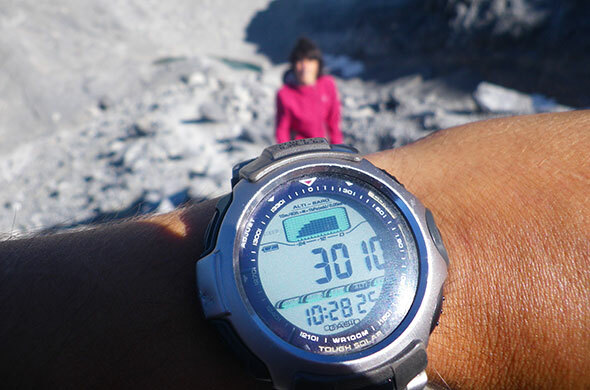 Mountain navigation skills (maps, compass). Progression techniques according to terrain. Identification and prevention of risks in mountain. Group equipment: First aid kit, maps, compass. Gloves, hat (winter ), sunglasses. Water (minimum 1,5 lts) and snack food (nuts , energy bars ). Learn the rope maneuvers necessary to ensure ridges or complicated steps in mountain, body belaying or more complex tying-in. 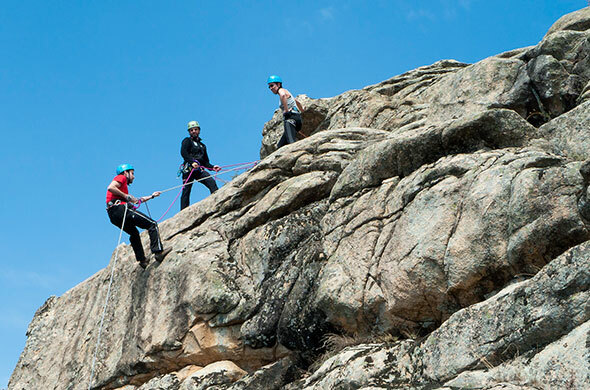 We will also practice different rope assembling and abseiling techniques. Always Giving priority to security. Progression techniques for steep terrain (gullies and ridges). Rope tying techniques, ridge walking techniques. scrambling skills, including use of a rope. Personal equipment: First aid kit, maps, compass. 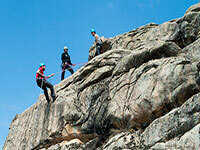 Group equipment: Harness, Helmet, Ropes, cords, carabiners, belay devices and descenders. This course will introduce you to the core techniques required for confident mountain and hill navigation in summer conditions using a map, compass and GPS. Being familiar with the compass and map, how to get out of a thick fog or the latest trends in geocatching are some of the contents we'll see in this course. Contour recognition and relocation skills. 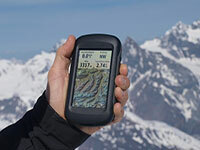 Group equipment: First aid kit, maps, compass, GPS.